In the event that your heating system breaks down, you can rest assured that our factory trained technicians can get your system back up and running quickly. 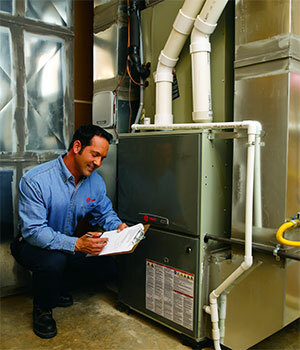 Our service technicians are trained to work on all makes and models of furnaces or heat pumps. Our technicians will be professional, timely and knowledgeable. If your system is not heating properly or blowing cold air, please give us a call so we can address the problem and fix your system properly the first time. Don't be left in the cold when your system breaks down, call us today.